From the world's #1 name in weight loss, the book that's helping to halt the family obesity epidemic - almost 60,000 copies sold in hardcover! In this bestselling book, Weight Watchers offers a comprehensive strategy to healthful weight management for all members of the family. The latest scientific research has shown that children are strongly influenced by the food- and physical activity - related decisions made by parents and other family members. 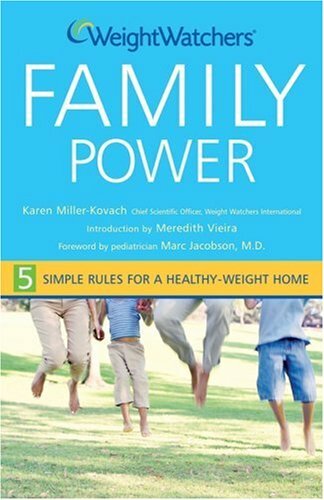 This book features 5 simple rules for optimal family health and weight management as well as inspirational family success stories throughout the book. All the information is based in science yet it's presented in a friendly, optimistic, and proactive manner to get families together with the goal of achieving a healthy-weight home and improving their overall health - safely and easily. Weight Watchers Coach Approach: How to Motivate the "Thin You"